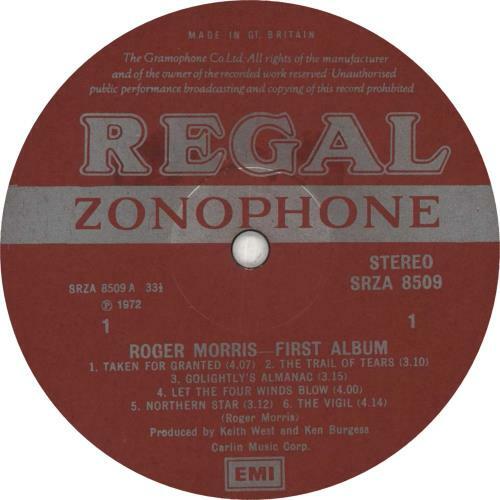 ROGER MORRIS First Album (Impossibly rare 1971 UK 12-track vinyl LP on the red & silver Regal Zonophone label, recorded in the UK in late 1971, 'First Album' was a fine addition to the small but burgeoning British country rock scene that encompassed the likes of Matthews Southern Comfort, Quiver, Help Yourself, and Brinsley Schwarz. 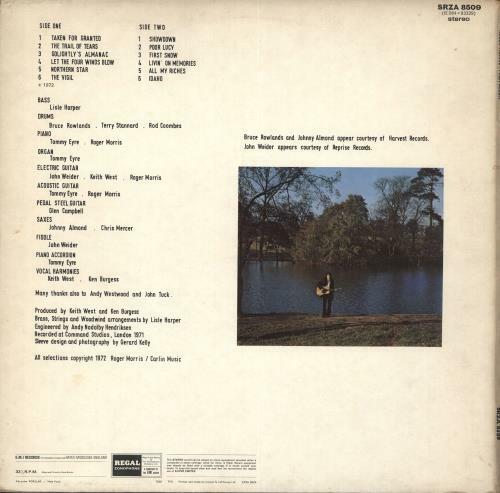 Roger's band on this album features some of the finest musicians of the era, including Glenn Campbell, Rod Coombes, Chris Mercer and De Lisle Harper, textured gatefold picture sleeve with the original price sticker still in place on the front. The fragile sleeve [EX] has done well to survive the last near-half century with no splits or tears, with just a small point of paper loss to the very top-right corner and a little discolouration to the white border, still leaving the main image clear & clean with the lovely warm, muted autumn colours shining. The spine has flattened a little and the text is still legible with as is that on the back and the lyrics in the centre. The vinyl is a stunning Near Mint. Truely a once-in-a-lifetime copy! SRZA8509). 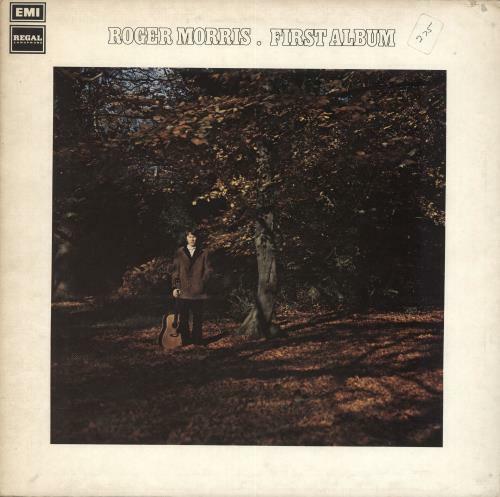 or visit our Roger Morris image gallery.